Isheanesu Dondo was born in Zvishavane, Zimbabwe. 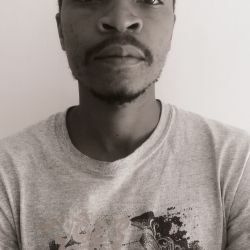 Having finished at Kutama High School, Dondo enrolled to do a four-year degree in Applied Biology and Biochemistry at the National University of Science and Technology in Bulawayo. Dondo’s interest in the workings of the world, however, slowly began to shift. As a result, he decided to drop out of his degree. Through exposure to artists like Lawrence Bango at the National Gallery of Zimbabwe in Bulawayo, and the tutelage of artists like Wisdom Vangani and Tapfuma Gutsa, Dondo began to develop an understanding of the cosmos through art and a burgeoning interest in ancient civilisations. Translated onto unwrapped cigarette packaging, Dondo’s pen and ink drawings express a stylistic revival of ancient art forms. Continuous and delicate line work makes reference to patterns, shapes, and forms similar to those of ancient relics. They highlight how the ancients elucidated the structure of DNA using Shona proverbs. At the same time, the use of cigarette packaging is significant. In Zimbabwe, this material is readily available and tobacco is one of the country’s main export crops. As such, Dondo asks that we consider the primacy of local beliefs in the face of western scientific traditions, a reversal of the idea that science is something that was brought to the continent by the West, but rather something that was already inherent in local beliefs. 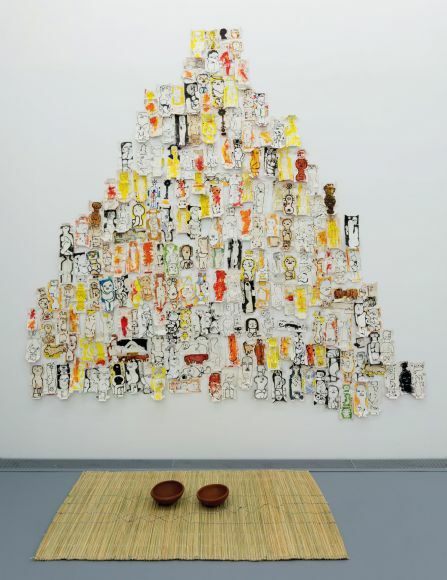 Exhibitions include Chasing the Sun at Cape Town Central Library (South Africa: 2013); The Many Moods at The Corridor, Harare (Zimbabwe: 2017); and Afropolicity at Njelele Art Station in Harare (Zimbabwe: 2013). 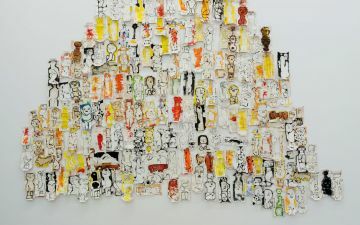 Isheanesu Dondo work is featured in the Zeitz MOCAA exhibition, Five Bhobh – Painting at the End of an Era (2018 – 2019).